The theme for 2015 will be tweed and bicycles. 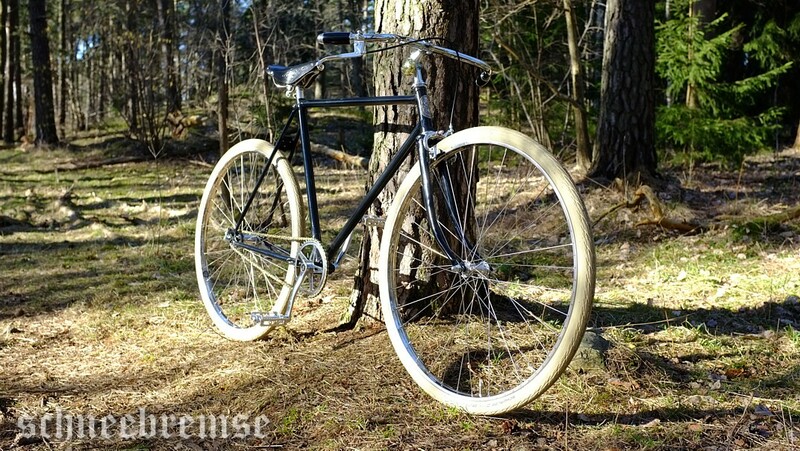 First up is the result of a long time of designing, thinking and putting together a sort of retro/vintage/classic-looking bicycle. It is made of different part from different brands. 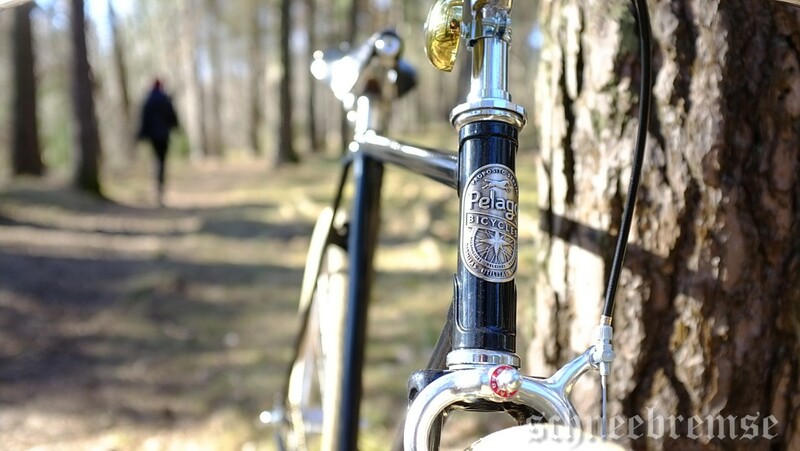 But the main part is the frame and that ids made by Pelago in Helsinki, so I guess that makes it an Pelago racer. It turned out really nice, the black paint, chrome parts and gold details. I have mentioned it earlier in many different posts. But now it is finished and been out for a test run. 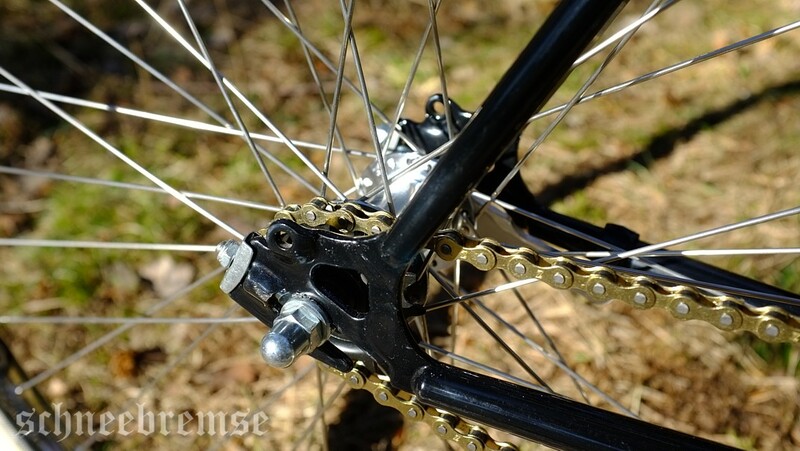 The fist impressions are that is is a quick and light weight bicycle. 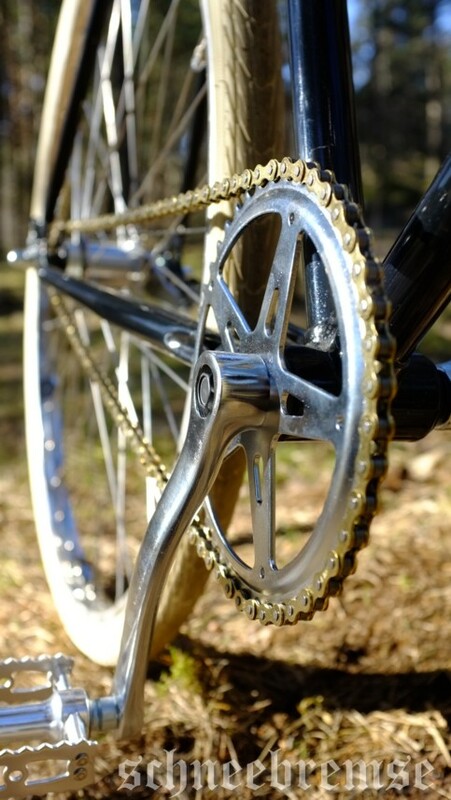 There are some small issues that needs to be adjusted, bolts to be tightened, adjusting the chain and raising saddle and handlebars. But first, tweed! Later this summer there is a visit to Edinburgh planned for me and a friend. While we are there we will eat haggis, drink beer (perhaps a small whiskey to) and see the town. But more interesting and tweed related, we will take a train ride up to the highlands to look for Harris Tweed cloths. Perhaps I will buy a suit or at least a pair of trousers and a waistcoat that matches the jacket I already got. Then a lunch at the local pub. It will be an interesting journey, I guess there will be a post about the travel to be found later on here on Schneebremse blogg. Complete with images and describing photos of the scenery. Why this obsession with Harris Tweed? Well that is a difficult question. But the short and simple answer might be that tweed is a classic, durable, great looking cloth. Also the brown Harris Tweed in herringbone pattern coat I got from my father when I was a teenager. He bought the coat at Nordiska Kompaniet in Stockholm in the mid -60’s. He used it back then, but later on it ended up in an closet. When I got it in my teens, the fashion was a bit different. Everyone was using leg warmers and pink slacks or leather jackets with studs. But I used to walk around dressed in suit trousers, white shirt, dark tie and a tweed coat. Of course I had a black umbrella with a bamboo handle when it was raining. Mind you, this was in the mid -80’s. I guess I was rather along looking odd, dressed like that (sadly no photos exists from that era). But I liked it. It was long before it became “hip” or “cool” to dress like that. After all, one of my biggest heroes at the time was Harry Palmer. By unfortunate events I lost the coat but before that I got different tweed jacket from different brand. It was in a dogtooth pattern, almost in a black and white “op” pattern style with a lovely ox blood red lining. I used the jacket so much that it literally was falling to pieces many years later. By then I bought a three piece suite in a red-brown herringbone pattern, yellow lined, Donegal Tweed from Ireland. I used it a few times, but never got around to really enjoy it since it was slightly to small. After that I went back to the Harris Tweed brand by buying a “stock” pre-made jacket in grey herringbone pattern. Now I had found my way back, it feels just right. Perfect fit and the nice contact with the retailer made the jacket a really good purchase. It all starts and ends with Harris Tweed from the Outer Hebrides of Scotland. So travelling with train to the Scottish highlands in tweed, buying more tweed is either pure madness, or it can turn out to be a great event and a lovely experience. 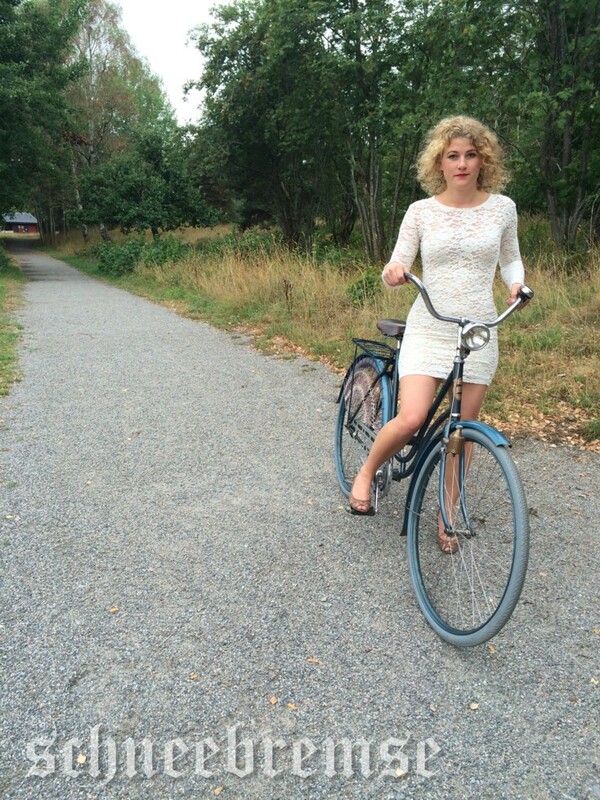 Back to the bicycle for a moment. 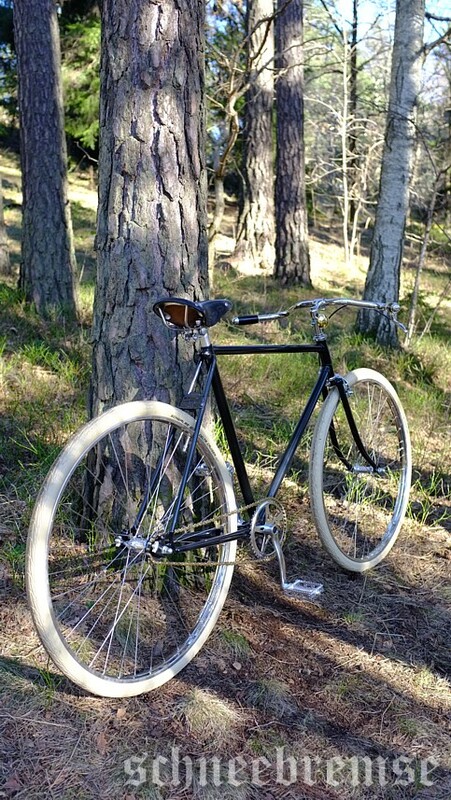 The idea was to replicate an 1930’s path racer bicycle. 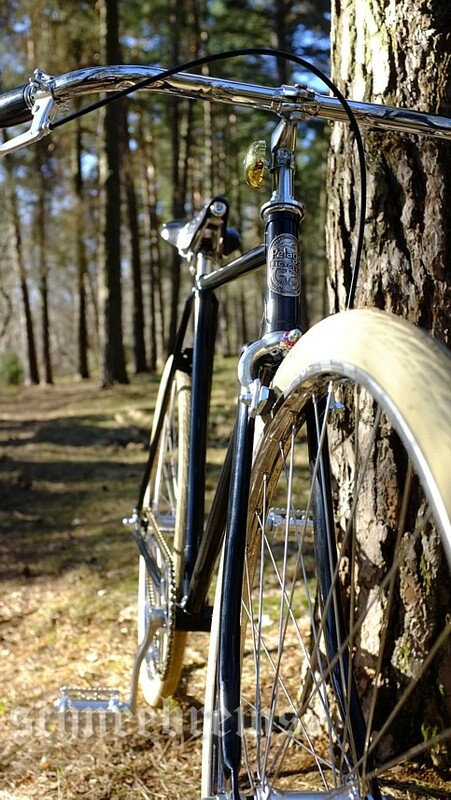 The style of the turned down handlebars, clean design and “less is more” attitude. I think I got it right, it do not look like any other bicycle on the market today. Not like this. I think I got it right. Let us go straight to the facts about the new bicycle. Here is an approximately price what I paid for all parts. There might be errors all over, so see it as a rough guide and not as an exact list. I was not aiming for the cheep parts, I just bought the ones that I wanted and had the best design in my opinion. The parts was bought over a long period of time. In the end the total price is about 670 Euro, but I like to adjust it up to 700 just to be safe. It feels more accurate that way. After it being completed, the weight are 14.3 kilos. Four different cameras used at one occasion. Four different ways to take photos, all with different results. The Kodak box from the 1930’s with the minimalistic settings. The Rolliecord that took the photographing to a new level with adjustment availabilities with change of shutter speed and f-stop. Then we took a large leap into the digital era with the new Fujifilm X100. That is an camera also used by many pro-photographers as an great backup to their regular cameras. 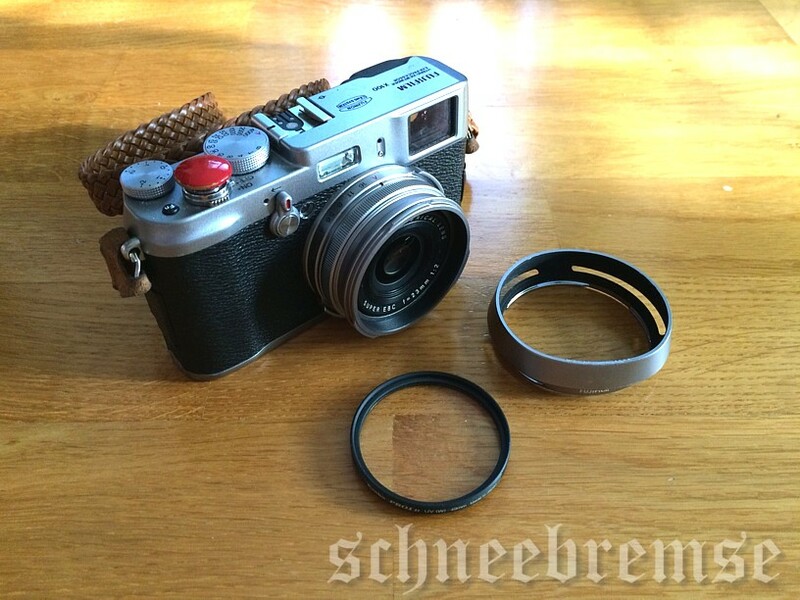 Or as an “back to basics” camera with the rigid lens and old style layout of the controls. That leave us with the last camera, or phone, or computer or… Well, the iPhone 5s anyway. It is a camera/development laboratory and everything else that you might need for a great everyday photo, all in one. Of course all cameras has their advantages and disadvantages. The old film cameras has the problem that you can not check the photo at once, if the model blinks, then the photo is ruined and you will find out that a week later. But the advantage with that, are thaty due to the limited frames you have. You really have to see and plan the photo in your head before taking it. Planning, explaining to the model and a lot of thinking of different light settings, pose of teh model, what might work and what might not work. Everything needs to be considered before taking that photo. With a digital camera its just to get the settings right, set the f-stop to get that depth of field you like. Then it is just to fire away. You can take a photo and then show it to the model to explain what you are wanting from the model and situation. It is a great aid, also if the model blinks. Just take a new photo. Or even better take 3 photos at the same time. After all the roll of film in the digital camera holds about 400 espousers (sort of). But with your smart phone, there is no settings, nothing. Just point and shoot. The quality are perhaps not so great comparing with the professional camera. But the images are great anyway, all cameras are individuals. The same photo do not look the same with different cameras, as we realized during this series. Here is an image I made (with an app in my phone) where I joined all four cameras photos from the same scene. Kodak Box (1930) grainy but genuine. Rolliecord (1952) the details are great crisp and nice. Fujifilm X100 (2012) well, the colour and sharpness is fantastic. iPhone 5s (2013) a good snapshot clear and nice. The vintage cameras are about the same and so are the digital cameras about the same in style and quality. It all comes down to what you like and what you are going for. Using old vintage cameras with real film would be a great and fun thing if you had possibility to develop and print the photos your self. As an hobby it is just great! I know since I have been doing it. But the digital media is a huge advantage, you can sit by your computer and with a fairly good photo editor you can get really good results. Then the phone, well. If you are only taking photos for fun. 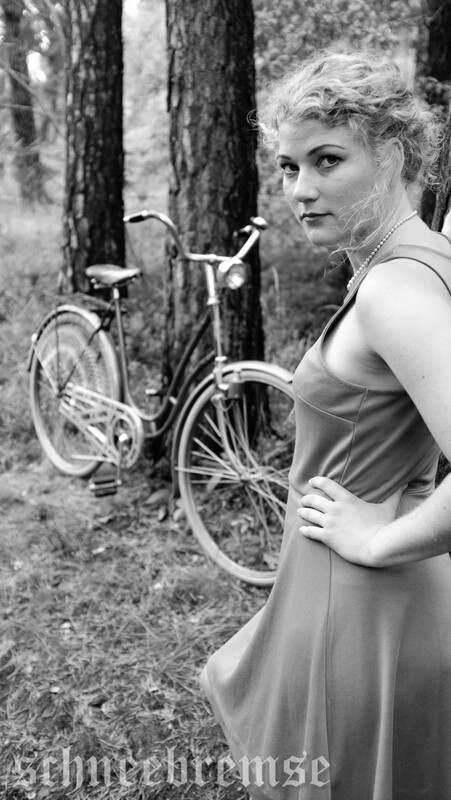 For usage to take snapshots of the everyday life, the sunset at the vacation, that girl with the bicycle. Then you can tweak and adjust the photos in the phone it self and get amazing results. The question is, what do you like to get out of the photo? Now on those photos I have been showing you here, I have not edited them in any major way. Only putting my name on them and resize them, perhaps use a clearing up tool for compensating the loss of pixels in the down sizing process. That is it. Just for fun I took out the phone while sitting on the subway going home from work one day. With an app I changed one of the photos I took with my phone. I started to change settings and colours. Just for fun making a “vintage” style photo. 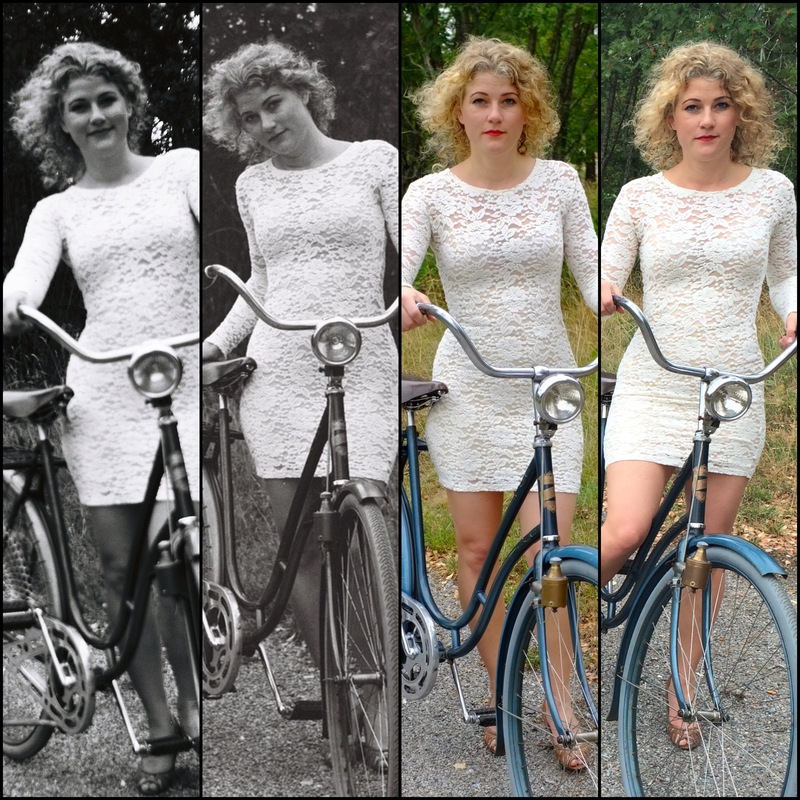 When putting it side by side with the “real” vintage photo like the one created by the Kodak Box. We clearly can see the differences. But when the photo are standing along by it self like below, it really has a feeling of an old photo. Made with a few swipes on a smart phone (that primary are a telephone…). So what can we say with all this? Any camera is great as long as you get the results you want and captures the scene you see. All cameras has their advantages and disadvantages. For me, the feeling of really taking a photo with the Rolliecord is special. But knowing the amazing results I can get with the Fujifilm really boosts the urge to taking one more photo. But as for pure fun factor nothing beats the iPhone. The accessibility, the easy to take a photo. The way you can take memory snapshots in the moment and still have a great quality photo. That makes the smart phone photos really fun and great to work with. Just for fun, the photos I have been showing here are just simply examples. One of the reasons for the photo session was to get photos for this post. But we did not only take one photo, there was an entire series. Diferent poses, dresses and settings. Here is one more from that session. In short I would like to say like this. The best camera is the one you got with you. The search for the perfect photo is making us wanting to take more photos. It is time for the last presentation in the series about the cameras that I used on the bicycle photo session a some weeks earlier. This time I used my own regular mobile phone, an iPhone 5S. It is not only a simple telephone that you can make calls with. It is also an minicomputer, organiser, media player and flash-light. But there is also an very good camera in the phone. The iPhone, or lets us say smart phone since almost every smart phone today got these possibility, got excellent editing possibility with in it self for some after editing. But with a few simple touches on the screen you can find a large selection of different programs/applications (apps) for photo editing. More of that later in this text. At the bicycle photo session, after I used the 3 other cameras I mentioned in the earlier posts, the old Kodak box, the Rolleicord and the modern Fujifilm x100. 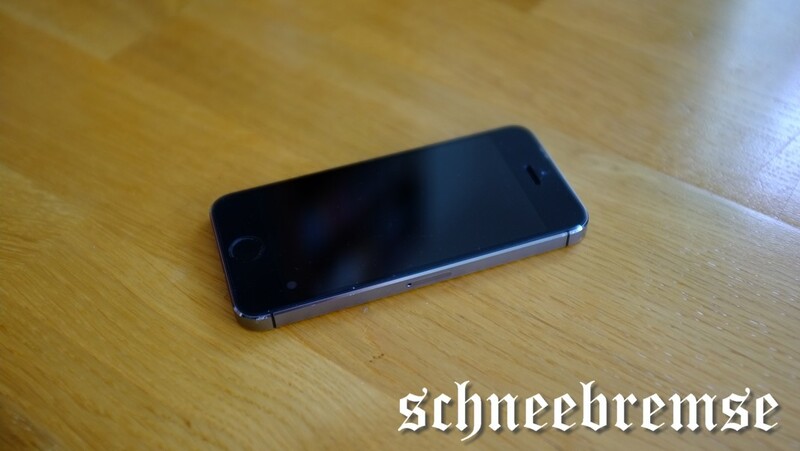 I took out my phone out of my pocket and wiped the lens clean from fingerprints and dust. That is one small but very important thing to do. Grease or smudge on the lens always creates effects that bad. Such as lens flares or an “foggy” look on the photos. The best starting point are a clean image. Then you can let loose you creativity and add what effects you like and create artistic and fun photos later on. Even lens flares and fog if you like. Well, there is no knobs or levers on the “camera” to be honest. Only a few buttons and an touch display. One of the ways you can activate the camera is by pressing the home or sleep button then swipe the camera symbol upwards. There you have the camera all running and reddy to shoot. In that mode you can swipe on the screen at the sides to get video mode or a square frame for the photo. There is other options to. But for now we will go with the standard camera settings. By looking at the screen you compose the photo, the press either the button on the screen (big red button, the shutter) or you press the volume up/down button, remote shutters releases. Then you have taken a photo. As simple as that. Now when you have taken an photo that you are pleased with. The fun part of editing begins. With almost every smart phone today you have many different options of editing tools and helps. 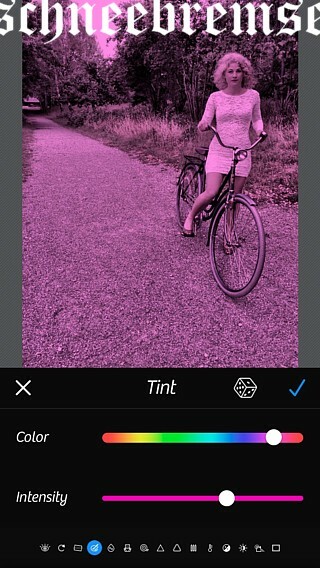 You can choose either with the smart phones own built in effects/filter options. Or you can download for free or buy an app for editing photos. 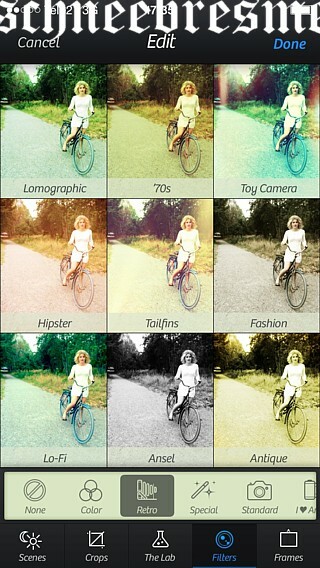 I use the “camera+” app. It costed me a few dollars. But it works for me, I get the results I like. Beside it is an easy and fun program with many pre set filter options to choose from. There are options for exposure adjustments, tone, colour, contrast and so on. I will show a few settings how you can change the photo in the smart phone, just for fun. Here are some filter options to choose from, there are a few categories of filter styles. Colour, retro, Special, Hollywood and more. You can change the tint of the photo, highlights, shadows and even more light settings. There is a cropping tool, that make you either choose the crop yourself or use one of the many pre sets crops. It is fun to take photos with my smart phone! After The time just runs away and you will end up with even stranger results than intended from the start. Of, course it is a phone. Not a primarily camera. But for all those “on the go” photos and photos for social media like facebook and instagram the smart phone is a really good option. After all, instagram was designed to be used for smart phone photos. There is almost no end to what you can do with the photo. It is like having the entire film laboratory with all skill of the personnel at your finger tips. You take the photo, develop it and then you can get it to any style you like. Things that 20 years ago took many hours of skills and learning to create. There is an entire new way of creating images today. If you with the smart phone connects it to a printer made for phone photos and prints the image you have edited. You only delay is how fast/slow you work with your editing. No more waiting for a developer to do their work for a week or more. Here you got instant result! Of course the charm of the old cameras has gone in a way. There is perhaps just a matter of simply changing focus. Perhaps there is charm in the modern way of creating photos? After all, everyone is using smart phones today and the best camera in the world “is the camera you have with you” as they say.